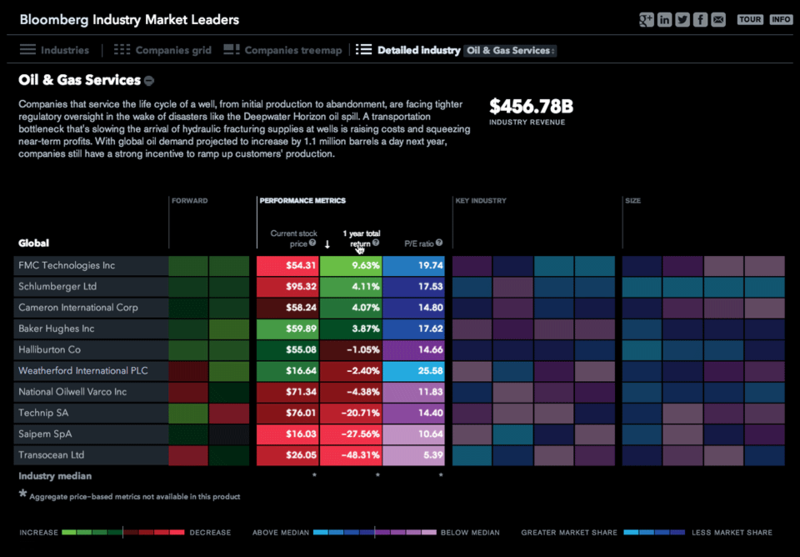 The data visualization component of Bloomberg’s annual franchise The Year Ahead, this tool compares 49 global industries and the 580 market leaders within them along size, performance and forward-looking metrics. Market Leaders compares industries to one another, companies within the same industry, or companies to each other outside the context of their industries. 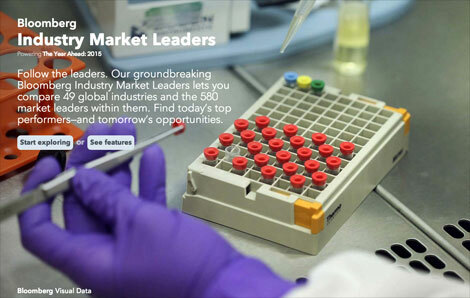 The industry view displays companies within their respective sectors. 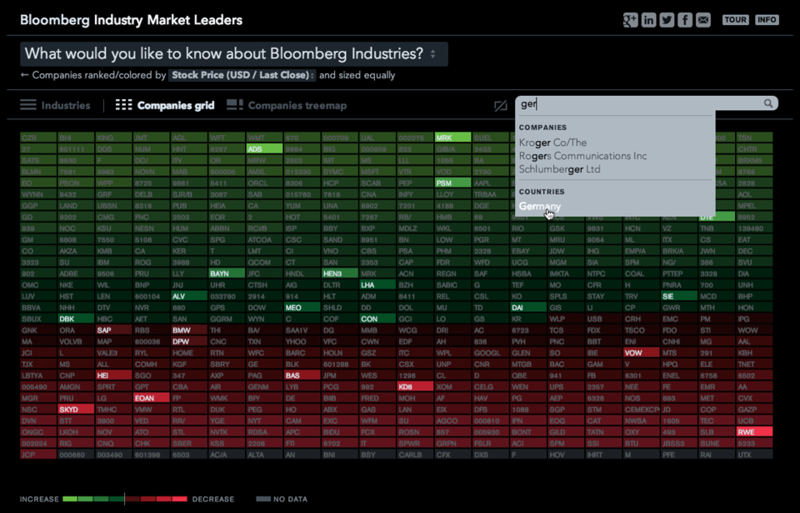 One can filter or sort by various metrics or through a menu of commonly-asked questions. 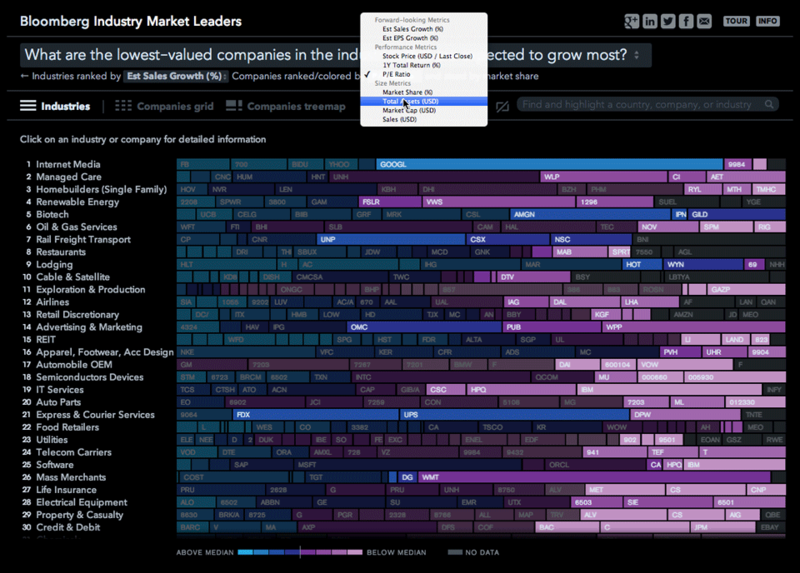 The company grid view displays all 580 companies outside the context of their industries. 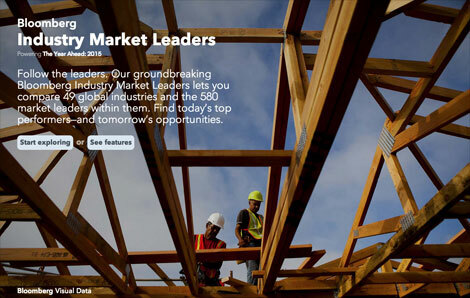 Smart search allows one to find and highlight companies by name, country or industry. 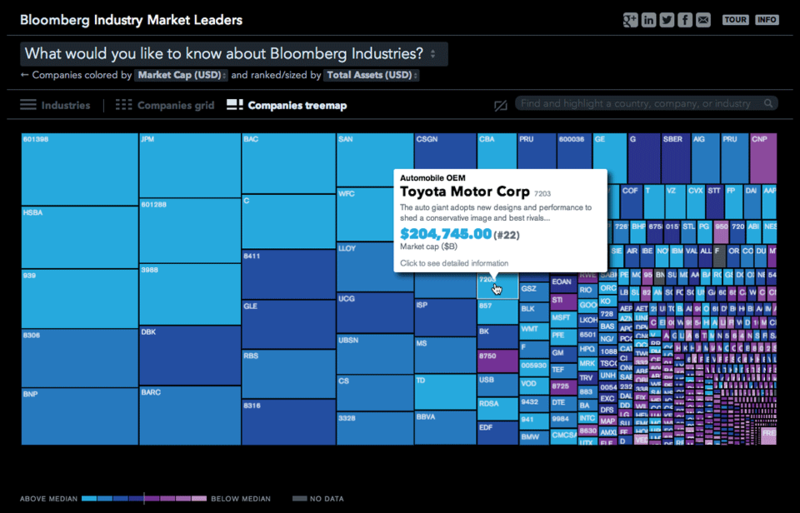 Company treemap view. Hovering over individual cells reveals contextual information. 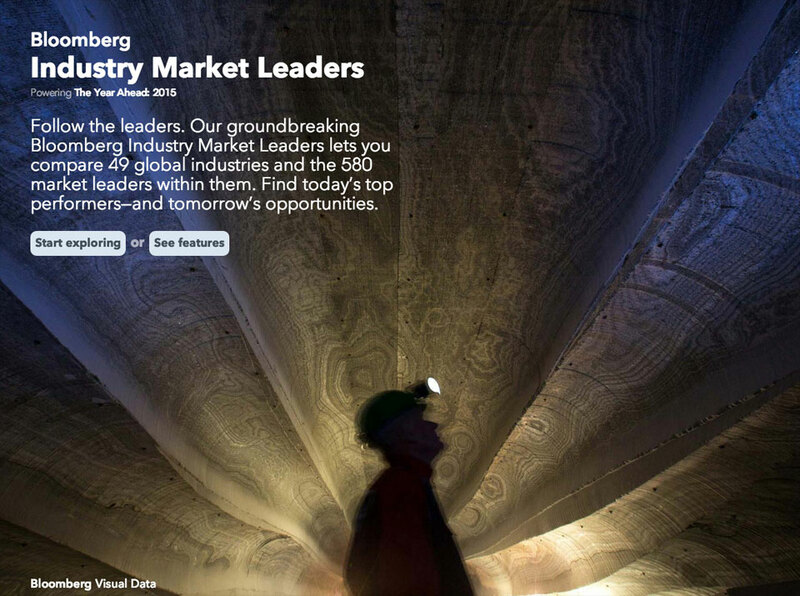 The single industry view displays detailed information on the companies within a particular industry and links to recent Bloomberg news articles and market data. Spreadsheet of stock price fluctuations for market leaders ordered by their industries.